OKLAHOMA CITY – An Oklahoma Department of Corrections inmate serving a life-sentence for first-degree murder escaped Thursday night from the Payne County Jail. 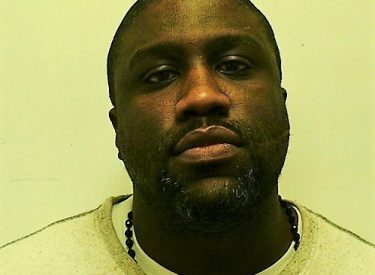 Patrick M. Walker, 34, is described as black, 5-feet 7-inches tall, and weighing about 174 pounds, with black hair and brown eyes. He has a large scar paralleling his jawline on the left his side of his face. The Payne County Sheriff’s Office reported to ODOC on Friday that Walker escaped from the jail by posing as a cellmate and posting bond for that inmate, whom he closely resembled. Corrections department spokesman Matt Elliott said Saturday that Walker appears to have conspired with someone outside the jail who posted bond for the inmate Walker impersonated. Walker is believed to have that inmate’s personal identification information with him, and may be going by the individual’s name – Charles Pendarvis. Walker, also known as “Notty Walker,” is serving a life sentence out of Oklahoma County for first-degree murder. Walker was being housed at the county jail for court. He is considered armed and extremely dangerous. If you see someone who may be Walker, call 911 immediately – do not approach him. Anyone with information about Walker’s whereabouts is asked to call ODOC’s fugitive hotline at 866-363-1119 or email [email protected] All calls and emails are confidential.